9.7.11 On September 7, 2011, People woke up to Tropical Storm Lee, which produced Historic flooding. 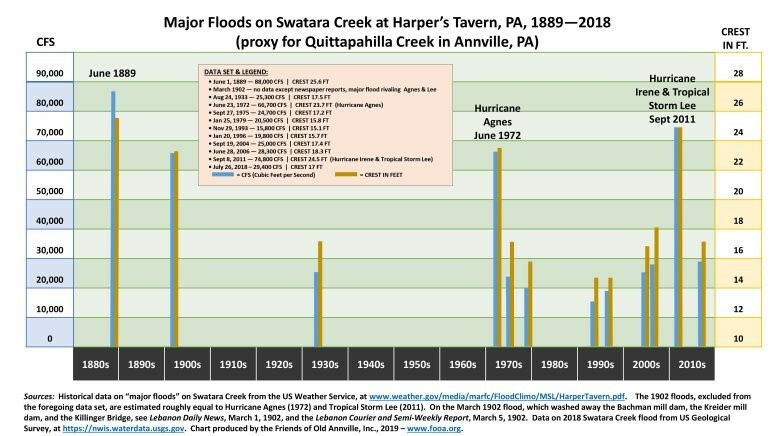 In fact, USGS reports that at the Harper Tavern on Swatara Creek crested higher than it did in Hurricane Agnes, which was 23.72’ (1972). Agnes was a 500-year recurrence-interval event in the area. The gauge got inundated during TS Lee, and USGS equipment got damaged. 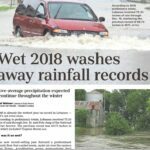 However, they retrieved a high water mark of 24.46 ft at the gauge on September 09, 2011. The flood of record for the station was June 01, 1889, which crested at 25.6 ft. Listening to victims of the 2006 flood at FEMA’s Disaster Recovery Center at the Ono Fire Company, it became evident that some spirits were low to the point that certain individuals vowed not to move back into their homes. Others felt “trapped” like no one would want to buy their home now that it sustained so much damage, and to others the flooding was “a way of life” to which they had become accustomed. If you live in an area that floods and you lost personal belongings or had to replace drywall, a furnace, and/or carpeting, you may be asking what you can do. Short of moving, have you considered elevation? information useful or give it to a friend. the process for NFIP purposes. instrumentation at various stream gauges to analyze flood-flow information. flooding will occur when a stream or river reaches a particular flow stage. 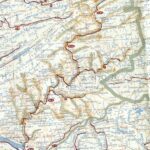 to go the surveying route as discussed above. If you decide to elevate your home or complete other structural changes, be sure to get a building permit. However, according to Julie Cheney in County Planning, building permits are not necessary for non-structural repairs like replacing drywall, a furnace, and/or carpeting. emergency. A 21.2′ crest is predicted. 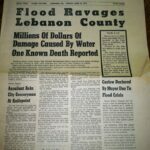 June 28, 2006, Lebanon County Commissioners declared a disaster emergency. The 18.28′ crest moves into an historical third place record height. degree. Numerous evacuations are necessary. evacuations. A few homes are flooded. 10.0 High water isolates several houses. 9.0 Several driveways and other minor roadways are affected. Water begins to enter some basements.